The Smash World section of the Nintendo Switch Online app will allow Super Smash Bros. 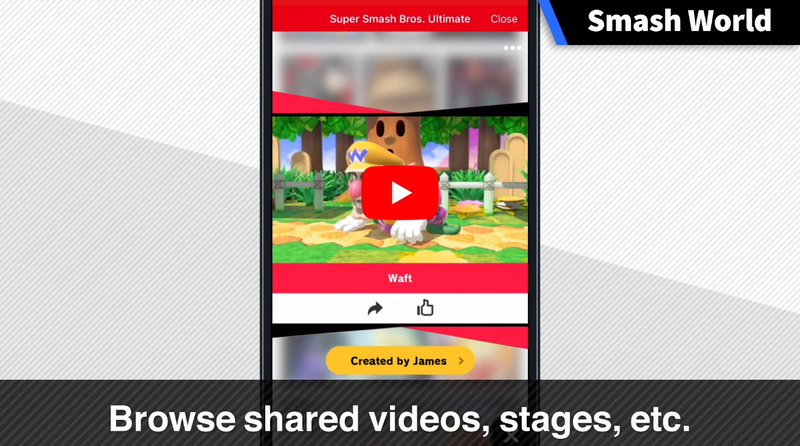 Ultimate players to download videos and stages from the comfort of their smartphones. Nintendo unveiled a lot of news for Super Smash Bros. Ultimate and its upcoming 3.0 update. But not all of those announcements were for the game itself. Nintendo is putting a lot into its Nintendo Switch Online app, adding in a new feature called Smash World. Smash World will support one of Version 3.0’s key additions, the shareable Stage Builder. 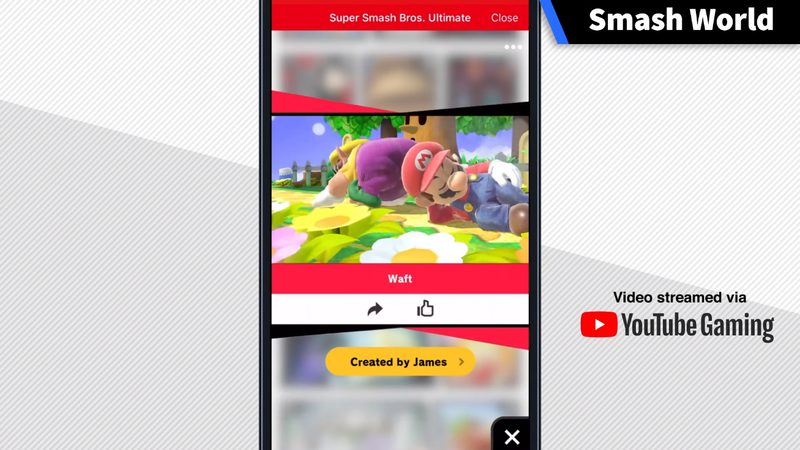 Players will be able to browse recommended stages through the Nintendo Switch Online app, without starting up Super Smash Bros. Ultimate. That’ll come in handy for anyone who doesn’t have their cartridge loaded up or for anyone who’s away from home for a spell. Anyone who strikes gold and finds a good stage to play on can download the stage via the Queue to Download button, which will immediately queue up the stage to download on the app user’s Nintendo Switch. Players can also turn to Smash World to watch some of their favorite videos on the subject of Super Smash Bros. Ultimate. They can watch highlights or other content with videos provided by YouTube Gaming. Anyone looking for footage on specific characters can search for videos separated by fighter. In-game notifications and Spirit teams can also be queued up using Smash World. While Smash World’s contents are technically free, remember that sharing stages and the like will require a paid Nintendo Switch Online membership. If you’re looking to download the Nintendo Switch Online app, you can find it right now on the App Store and Google Play for free. Ozzie has been playing video games since picking up his first NES controller at age 5. He has been into games ever since, only briefly stepping away during his college years. But he was pulled back in after spending years in QA circles for both THQ and Activision, mostly spending time helping to push forward the Guitar Hero series at its peak. Ozzie has become a big fan of platformers, puzzle games, shooters, and RPGs, just to name a few genres, but he’s also a huge sucker for anything with a good, compelling narrative behind it. Because what are video games if you can’t enjoy a good story with a fresh Cherry Coke?